The answer to this question is of course, yes, but not to the degree that you might think. Exercise is vital to a healthy body and healthy mind. I recommend getting exercise extremely regularly, at least 3 times a week. 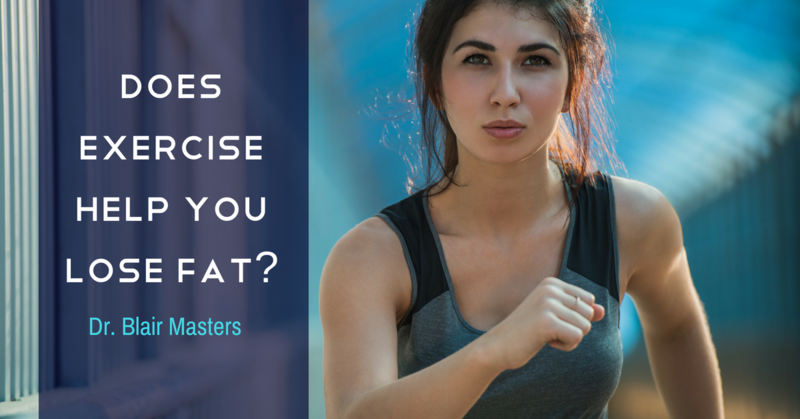 Now whether or not it helps you lose fat is a different question. I have ran two marathons and countless half-marathons, I think the number is up to 13 or 14 now. During that time, I change my diet quite drastically. I change from a healthy, but standard American diet that included the basic four food groups, to a Paleolithic diet that was much more focused on vegetables, avoiding grains and dairy and being healthy through decreasing inflammation. During the diet, I ran my first marathon and I was putting lots and lots of miles on my body and I continued to have a layer of fat particularly over my midsection that would not go away. I considered this normal because I’ve had it my entire adult life. Now I have never been quite fat, but I was not slender as I was when I was a kid and I thought this was normal, however, between the time of my first and second marathon, I changed my diet compete to a Paleolithic diet and I lost almost the entire layer of fat that I’d had my whole adult life. You see it was my diet change that caused me to lose weight and not any particular form of exercise change. I had some points where I was putting on 20 miles a day, 26 on the actual race day, and I still did not lose that layer of fat until I made some significant diet changes that not only decreased the fat content of my body, but improved my health dramatically. At least 70% of your weight loss efforts should be in what you put in your mouth and 30% or less of your weight loss. Severance should come from changes to your exercise regimen. Now I am not trying to discount the importance of having an exercise routine, but if you are trying to exercise your way to weight loss without changing your diet, you are on a fool’s errand. If you have been trying to lose weight for some time and have been unsuccessful or are having trouble getting off that last several pounds, give our office a call. There are many techniques that we use that will help someone improve their diet, but also improve their metabolism through supplementation. We offer a free consultation and will explain your options in detail so you will have all the information you need to make an informed decision. Call us at (479) 443-0800 or click here to schedule your FREE consultation.